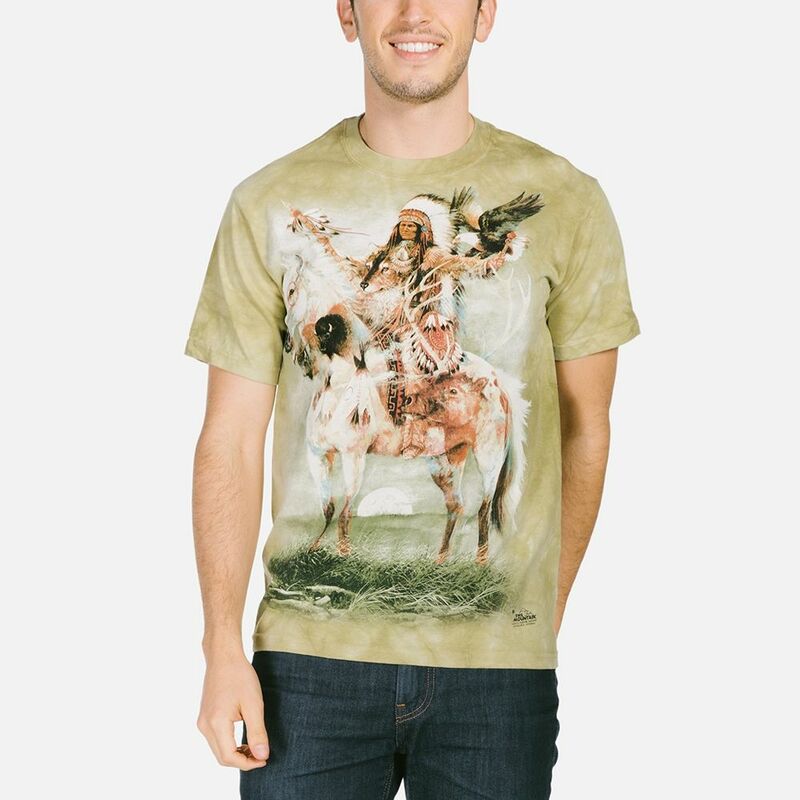 Native Americans have long seen wolves as a source of power and inspiration. Dreamcatchers have been used traditionally by the Ojibwe Nation to capture bad dreams or any harm that is in the air when one sleeps. As other tribes adopted the dreamcatcher and non-Natives have used it they have been said to capture good dreams. 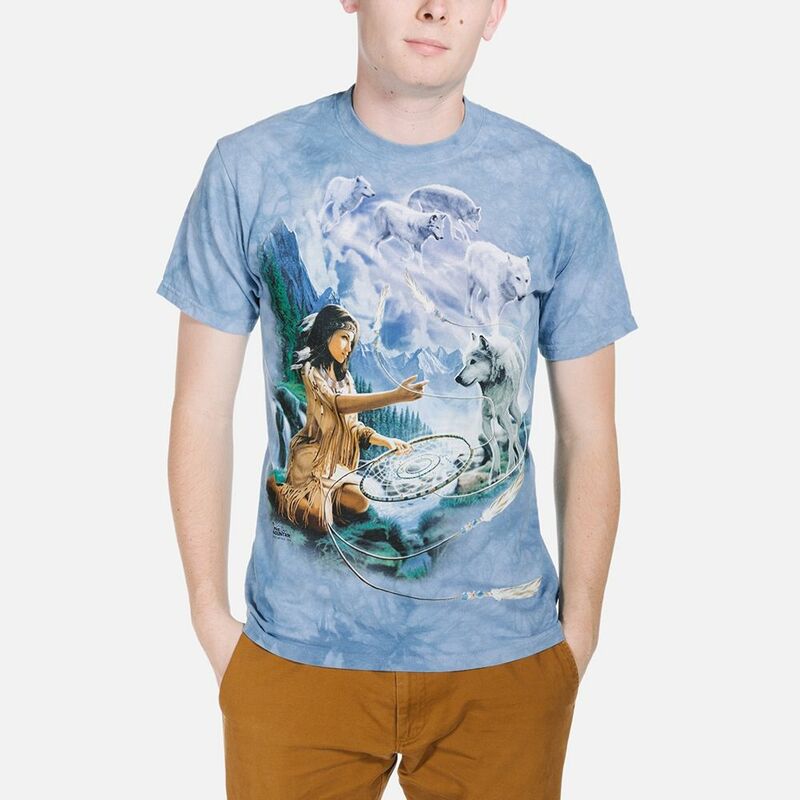 In this beautiful t-shirt from The Mountain® a Native American maiden is using the dreamcatcher to capture the guidance from the spirits of wolves. Very pleased with design as always. Excellent service.Tami is very helpful. 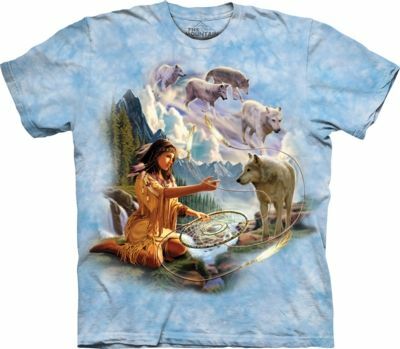 I have almost all the wolf tshirts.